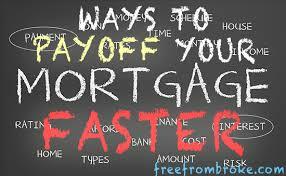 Who doesnât want to pay off their home loan as quickly as possible? But it often feels like an uphill battle, with you eating away at what you owe oh-so-slowly over the long haul. But itâs not just about peace of mind. The faster you pay your loan off, the less money youâll be paying. So if you can afford to increase the amount, and frequency of your payments, you could potentially save hundreds of thousands of dollars in interest. While you should always check with professionals to be sure youâre getting the right advice for your situation, these basic steps can offer a solid starting point for beating down that debt if youâre not doing them already. You wonât be able to make progress unless you know precisely what you owe, and how much you can afford to adjust what youâre paying. Halving your monthly repayment and paying every fortnight lets you payÂ 26 rather than 12 repayments a year. That may sound like the same thing, but in fact youâve added the equivalent of one extra monthly Â­repayment every year on a principal and interest of your loan. That can add up to big numbers over the life of your loan. Not all mortgage providers will let you make fortnightly repayments, so check first (ideally before you take out your loan). If you get a large tax return, bonus, inheritance or investment dividends, consider adding these to your mortgage account. With many home loan products, these can help reduce the amount of interest youâre paying significantly, cutting years off your repayment schedule overall. Remember there are tax implications for these, so check carefully about any additional costs you might be obligated to pay. Sometimes you can get discounts on your home loan if youâre a member of a certain occupation or professional organisation. Ask your lender if your profession entitles you to a different option and any additional savings. It never hurts to ask! If your mortgage is your financial priority then it makes sense to make sure you are working it the best way possible to minimise interest. Talk to your bank manager to make sure youâre using your accounts the right way, sometimes a few tweaks can make a difference. Your needs change, your income changes, as do home loan products and interest rates. Donât leave your home loan paperwork to gather dust and slip into a routine of automatic debits that you forget about. Stay on top of what youâre paying and how youâre tracking. Work with your mortgage provider to develop a system for regular health checks on your loan, asking if there are better interest rates, better deals, different products that better suit where youâre now versus when you took out the loan. Good deals are out there, but you usually have to do some homework to find them. Donât forget that there can be penalties for switching home loans â youâll need to weigh that against any savings. The most obvious way to pay your place off faster is to cut back on other costs and invest that money into your loan fortnightly or monthly. If you can afford to take regular holidays (though you no doubt deserve them), think of how that money could be better spent invested in your loan. When youâre mortgage free, the holidays should be all the more enjoyable! If you havenât bought yet, the single best way to pay off your property (if thatâs your goal) is to be able to afford it. Take care not to overcapitalise when you buy, as miscalculations or stubbornness about what you can afford is a sure fire way to end up in a vicious repayment circle. The information in this article is of a general nature only and does not consider your personal objectives, financial situation or particular needs.